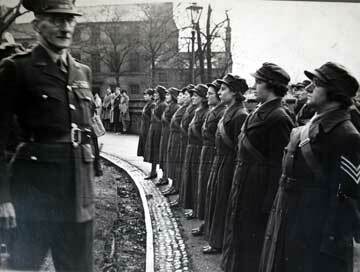 Lieutenant General Sir Oswald Borrett, Colonel of the King's Own, inspecting the company of the Auxiliary Territorial Service, Lancaster, 1939. 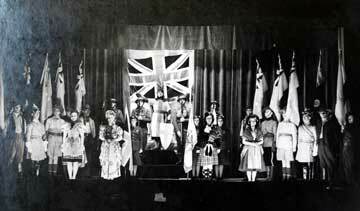 KO-Optimists, Concert Party of the King's Own Infantry Training Centre, Grand Finale at Ashton Hall, 22nd to 26th April 1941. 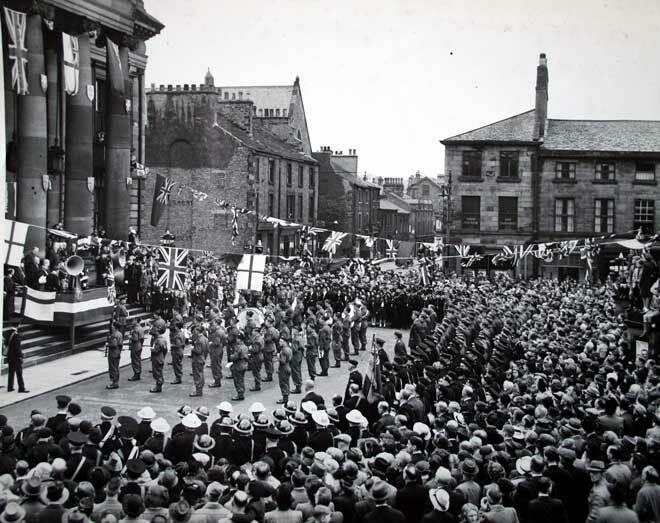 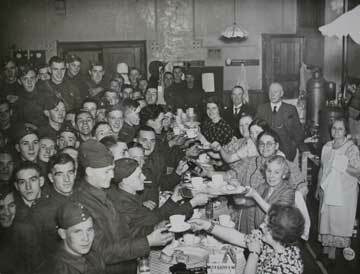 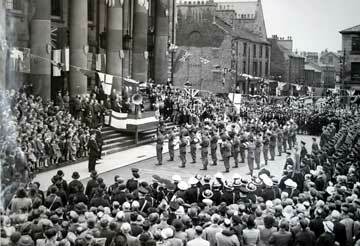 Allied Nations Day Celebrations, 14th June 1942, Lancaster Town Hall, Dalton Square, Lancaster. 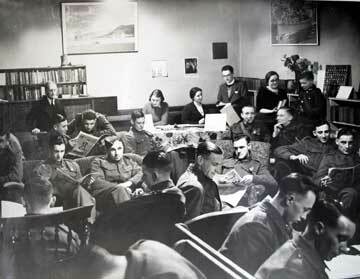 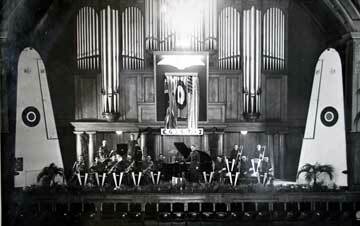 Depot Dance Band in Ashton Hall, Lancaster Town Hall, 'Wings for Victory Week' May 1943.